From your taxes to your toenails and your radiator to your roasted coffee beans, your life requires upkeep and attention. By definition, professionals don't perform services for free. If you can learn to take on a few dozen key tasks and projects by yourself, you can save a significant amount of money now and over the course of your life. Here are 33 pricey services that you can handle on your own. A basic manicure costs an average of $20.36, or $32.86 for a gel manicure, according to DailyFinance. Save money by pampering your own nails. You'll need to purchase some items up front to DIY -- as much as $50 worth. But that one-time expenditure, which is less than the cost of three manicures, will add up to big savings over time. An $8 bottle of nail polish, for example, can see you through as many as 40 two-coat manicures. When doing your own main-pedi, just stick to the five S's: soak, scrub, soften, soothe and seal. This mani-pedi tutorial by Fashion Times lays it all out in greater detail. The average facial will run you around $50, according to TotalBeauty.com-- but not if you do it yourself at home. The key to a truly great facial is not to cut corners by skipping steps or skimping on products. Like a mani-pedi, you'll have to make a one-time investment in some products, but just as with your nails, the initial investment will pay for itself over time. You'll need something for exfoliation, clay for pore cleansing, as well as skin calming and rehydrating products. Allure walks you through the steps of an at-home facial. The average chemical peel costs around $100. But you can save yourself money and a trip to the salon by doing it yourself at home. TotalBeauty.com recommends the highly rated Kinara Red Carpet Facial Kit, which will leave you with spa-level results. It runs about $95 -- but you can use it more than once. For an easier, one-step peel, try Peter Thomas Roth Un-Wrinkle Peel Pads, which you can get for around $45. A color glaze or gloss will run you about $50 at the salon, but you can boost your color by yourself at home. Not only will you add a few weeks between coloring appointments, but you'll end up with shiny, glistening hair. John Frieda Clear Shine Luminous Color Glaze costs around $8. The average hair-relaxing treatment costs a brutal $160 at the salon, but you can get comparable results at home. Try Phyto PhytoSpecific Phytorelaxer, which will run you about $65 at Sephora. The difference between great and just satisfactory results is to follow the instructions exactly as they are written, according to TotalBeauty.com. The average cost of grooming a dog is about $50, according to Angie's List. Grooming is absolutely necessary to ensure your dog not only looks great but is healthy and free of bugs and infections. But you don't need to take Fluffy to a professional. According to the American Society for the Prevention of Cruelty to Animals, you can easily brush, bathe and trim your dog's nails at home by yourself with just doggy shampoo, a brush and clippers. You'll need to brush your dog regularly, bathe him every three months or so, and trim the nails as needed. Here is the rundown on how to groom your dog the right way. According to the IRS, professional tax preparation costs an average of $261 -- $152 for just a basic 1040. But, millions of Americans can get help filing their federal tax returns for free using various resources. The Free File Alliance, for example, is a nonprofit company that provides free electronic tax services from different tax software options. Even the cheapest discount brokers charge between $5 and $15 a trade. But with a little research, such as by exploring resources offered by Investor.org, you can invest on your own for free with services like Robinhood. "This single practice can save the average person tens of thousands or hundreds of thousands of dollars over the course of their investing time frame," said Trey Henninger, investing blogger at DIYInvesting.org. "Instead of hiring a financial advisor to select what index and mutual funds you should invest in, you can do it yourself with only a little bit of learning on the topics. This simple act can cut your investing expenses by a large margin." Cleaning the gutters might just be the dirtiest job any homeowner faces. Neglecting them, however, can lead to water damage in both the home's roof and foundation. But the average cost to have gutters cleaned by a professional is $144. You can save money by following HGTV's step-by-step gutter cleaning guide -- but be careful. Ladder falls are one of the leading causes of serious injury and accidental death in the U.S., according to the Centers for Disease Control and Prevention. Follow the ladder safety guidelines outlined by the Occupational Safety and Health Administration. In a spray bottle, combine 1 cup of warm water and 1 cup of white vinegar or apple cider vinegar along with 2 teaspoons of Castile soap. Add 10-20 drops of essential oils of your choice. Replace the cap and shake vigorously. Use as you would any other all-purpose cleaner for wood, glass, stainless steel and porcelain. Wipe with a microfiber cloth or paper towel. If you are unsure of a particular surface, test on a small area first. Painting is one of the quickest, easiest and least expensive ways to give your home a dramatic makeover. It's even less expensive if you do it yourself. The national average cost of having professionals paint a single room is $380-$790, not counting ceilings and trim, according to HomeAdvisor. That drops to between $200 and $300 if you do it yourself. You'll have to decide on your color scheme and buy supplies like rollers, brushes, paint tape, paint and primer. Then you'll need to remove the furniture, clean the walls, remove outlet covers and switch plates. Next, outline trim, baseboards and edging with paint tape. Finally, apply two coats of paint and then touch up baseboards, trimming and any spots. Painting your home's exterior can beautify your home while adding curb appeal and value -- but it will cost you. The average professional exterior paint job costs between $2,400 and $4,400 depending on square footage, the number of floors, and the composition of the material, such as stucco or vinyl siding. You can dramatically reduce that cost by preparing the home for painting yourself and by painting some exterior features. Painting doors can knock off between $70 and $150. Painting fascia will save you between $500 and $1,000. If you do your own gutters and downspouts, that will save you between $200 and $800. HomeAdvisor provides a complete exterior painting cost list and instructions. The average professional oil change costs $46 dollars using conventional oil. To do it yourself, you'll need some plastic sheeting, rags, a rubber mallet, a wrench set, an oil pan, safety glasses, a funnel, an oil filter, an oil filter gasket and, of course, the correct motor oil. Follow this guide from The Family Handyman for step-by-step instructions to change your oil. Your car depends on oxygen just like you do. Replacing the filter regularly -- between 15,000 and 30,000 miles, generally -- will improve your vehicle's performance. But getting it done by a professional will run you between $40 and $100 depending on the make and model, according to Angie's List. It is fairly easy, however, to clean or replace the filter yourself. To clean your car's air filter, just locate the filter, remove it, wipe it clean, clean the housing and then put it back. If it needs to be replaced, just take out the old one, clean the housing and put in the new one. Here is a complete guide to show you how to replace or clean your car's air filter. "Most people think they're either going to need a mechanic or a great set of tools to fix a leaky radiator in their car," said Clayton Parks, Vice President of Strategic Development at Bar's Leaks and Rislone. "A quicker, more affordable way is to do it yourself with a product that is designed to stop leaks and repair them from within, cooling the system and cleaning out unwanted residue," he said. Bar's Leaks 1194 Grey Radiator Stop Leak runs about $22, which is significantly less than you could potentially have to pay for a mechanic's labor costs. A blown head gasket is one of the top four most expensive auto repairs, according to The Cheat Sheet. But you can get in front of that expense by plugging the leaks before the gasket is destroyed beyond repair. "Go to a mechanic and this could cost you thousands of dollars," Parks said. "However, there are products out there that can solve this problem without the hassle of a mechanic -- and without the cost, as well." Try Blue Devil Pour-N-Go Head Gasket Sealer, which costs about $35. All you have to do is pour it in according to the instructions, and the solution will do the rest. The average car wash costs between $6 and $9, with more comprehensive packages running between $10 and $20. It can cost $1 or $2 extra to do the tires, between $2 and $5 for clear coat and wax, and between $12 and $20 for high-end services like interior cleaning and mirrors. And don't forget the tip. You can avoid all that, however, by washing your own car. Don't wait so long that a layer of grime to builds up -- wash off dead bugs and bird droppings whenever you notice them. Use a dedicated car wash product -- not dish soap or detergent, which could be too harsh for your car's paint, according to Consumer Reports. Use a soft, non-abrasive cloth or sponge. Don't wash the car when the body is hot, and rinse thoroughly with water to remove surface dirt before you begin. When you're finished, rinse with a hose that doesn't have a nozzle to encourage sheeting. Don't let the car air dry. Instead, use a chamois. "You can optimize your car's gas mileage without taking your car in for a tune-up," Parks said. "A complete fuel system gas treatment can be used on a regular basis to boost octane, clean and condition lines, and improve overall fuel economy, making the money you save go even farther." "Most people aren't aware that these easy, affordable and safe DIY products are out there, but they're delighted when they find out," he said. Lucas 10013 Fuel Treatment, for example, runs about $27 a gallon. In 2014, the average gym membership was roughly $41 a month, according to MarketWatch. You can eliminate that cost completely by using nothing but the body you were born with and gravity. No matter what your fitness goals, from slimming down to bulking up, there are countless workouts, exercises and routines at your disposal. From doing the common pushup to trying reps of the brutal burpee, you can reclaim your health without leaving the house. Your options are limited only by your imagination, but here is a basic workout guide from Muscle & Fitness to get you started. According to the Brewers Association, beer is a $101.5 billion industry. No matter how big a piece of that pie belongs to you, you can save money -- and have a little fun -- by taking up home brewing. Most beginners start with with the malt extract method before trying more advanced methods. You'll need to make an up-front investment in some supplies, and sanitized equipment is a must. Basically, you boil water and malt extract, add hops and yeast, and seal in a fermenter, which you then monitor for three or four weeks. You then prime the mixture with sugar to encourage carbonation and transfer the mixture to a dispensing container. Finally, you'll fill, cap and store bottles for two to three weeks to allow for carbonation, at which time the beer will be ready to drink. This tutorial from the American Homebrewers Association gives more granular details, as well as steps on how to move to a more advanced process. Related: National Beer Day: How Much Are You Spending on Beer? The average bottle of basic table wine jumped 2.7 percent to $6.30 since 2011, according to WineBusiness.com. If you're a wine drinker, cut down on your expenses by learning the craft of at-home wine making. As with beer, it is difficult to say how much money you'll save by making your own wine because the equipment varies dramatically in quality and, of course, it depends on how much you drink. The process, which is outlined by WineMaker Magazine, involves choosing, inspecting and cleaning your grapes, followed by the critical stage of adding juice, or "must." From there, you'll "rack" the batch and bottle the wine. One of the most common personal finance tips is to make coffee at home instead of buying it on your way to work every day -- and that is good advice. You can slash the cost of your daily coffee fix even further by purchasing raw coffee beans and roasting them yourself. The cost of coffee has many variables, from quality to export tariffs in the country of origin, but the cost of roasted beans can be several times the cost of green coffee beans. You don't need an expensive roaster. You can roast the beans in a pot heated on the stove while stirring continuously or even in a popcorn maker according to Lauren Greutman of IAmThatLady.com. Either way, the key is to keep the beans moving and flipping the whole time. Remember to open your windows as the stove-top process lets off some smoke. You can roast to your own level of darkness, but it generally takes about 8-12 minutes. You shouldn't grind or seal them for a day or two while the beans outgas, according to the Huffington Post. Growing your own vegetables is one of the best ways to improve your health and boost your budget. A $70 investment in a 600-square-foot garden can produce 300 pounds of fresh produce with a value of $600 in one season, according to U.S. News. That's a net savings of $530. 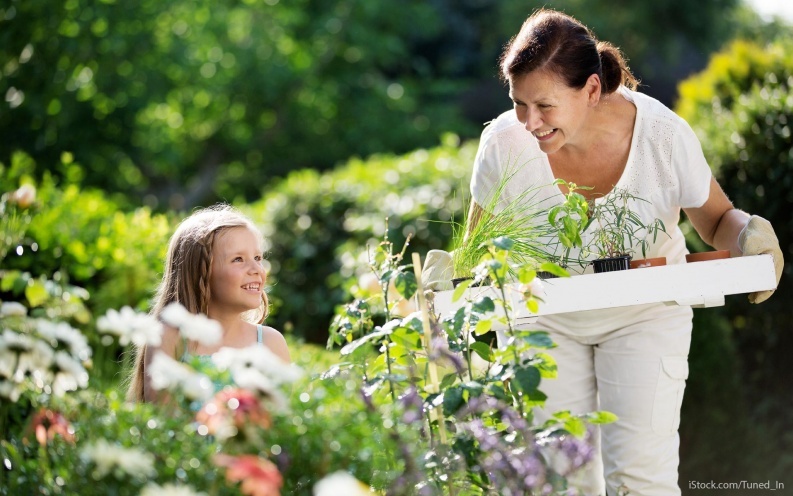 A basic backyard garden can be set up in one day. Decide what to plant, clear the ground, and improve and loosen the soil to get started. Then, plant and water your plants; mulch; and maintain. Better Homes & Gardens provides a full guide to start a garden. When you do your own landscaping, not only do you avoid paying a landscaper but you can lower your annual bills and the overall cost of owning a home. Trees can lower the temperature by 20 to 40 degrees in the summer, which can slash your energy costs by between 20 percent and 50 percent, according to U.S. News. It only takes three strategically placed trees to save the average homeowner between $100 and $250 a year. With a $135 expenditure, you can beautify your yard, boost curb appeal and save around $115 a year. Here is a Better Homes & Gardens guide to landscaping on your own. Remember to incorporate native plants to reduce water consumption. With the average cost of dry cleaning a two-piece suit at $10.42, maintaining your professional wardrobe or specific pieces of clothing that can't be washed can get expensive. But you can alleviate these costs by picking up an inexpensive dry cleaning kit and doing it yourself at home in the dryer. Pick up a Dryel dry-cleaning kit for around $7 in big-box stores. The package contains a booster spray, cleaning cloths and a reusable bag. Each carton can clean up to 10 garments without stretching, shrinking or fading. Lawn-care professionals can be hired for flat fees, hourly rates or on a monthly retainer. The cost of regular lawn care can range from $100 to $200 a month, according to HomeAdvisor. Eliminate this expense by performing this task yourself. Popular Mechanics recommends cutting around the perimeter first and cutting a wide enough collar that you can turn without clipping flowers or hitting obstructions. Leave the blade high -- buzz cuts can't grow deep roots, so they need more water, plus short lawns grow more weeds. Go slow and focus your gaze about 10 feet in front of the mower. The following week, mow the other way to even out the direction the grass leans. Pruning trees and shrubs is a critical step to keeping your plant life healthy and radiant. The average cost of hiring a professional, however, is between $400 and $700. When you do it yourself, you can save money and make your yard more attractive. The University of Minnesota provides an in-depth tutorial on which plants and trees to prune, and why, when and how to trim them. The nationwide average cost of having installation professionally installed, according to HomeAdvisor, ranges from $1,000 to $2,000 for the batt, reflective or rolled variety, which is the typical pink fiberglass insulation you see in many attics. Whether it's for a drafty attic or a refurbished garage, if you do it yourself, you'll pay nothing more than the cost of materials. Make sure you buy insulation that is cut to the right thickness and that has the right R-value, which has to do with to the insulation's ability to withstand temperature transfer. Different insulation types require different installation methods. Follow the insulation installations instructions for your specific application as outlined by the North American Insulation Manufacturers Association. It can cost anywhere from $200 to $500 to have a professional remove a tree stump, but if you do it yourself, you can save money, improve your yard's appearance, get rid of a tripping hazard and make the lawn easier to mow. Cut off as much of the stump as possible with a chainsaw, and then drill holes in the flat surface about 12 inches deep, three or four inches away from the edge. Then, drill horizontal holes through the side, parallel to the ground, to connect with the vertical holes. Pour potassium nitrate stump removal granules, which you can get for less than $10, into the holes, then fill the holes with water. After four to six weeks, the stump will become spongy and soft, according to The Family Handyman, enabling you to chop it up with an axe and remove it. Sealing an asphalt driveway can extend its life and help the surface survive difficult winters. But the average cost of getting a professional to do it is ranges from a few hundred to nearly a$1,000, according to HomeAdvisor. This is a job you can handle by yourself, but only if your driveway is at least six months old. Don't seal new asphalt. You'll need a squeegee tool and a professional sealant, which will cost about $40. First, clean the debris, dirt and oil off of your driveway. Tape the area around your driveway that you don't want sealed. Pour the sealant out from one side of the driveway to the other, starting at the garage and working toward the street. Use your squeegee tool to spread a very thin film evenly across the entire surface, making sure not to miss any spots. Let it dry for 48 hours. Hiring a mover can cost hundreds or even thousands of dollars depending on the time of year, the size of your home and whether or not they are a full-service mover or a company that just carries out boxes that you've already packed. Moving is inherently stressful and difficult. If you're going to save money by doing it on your own, planning is critical -- Moving.com recommends starting about two months before your moving day. For a couple of weeks, you should focus on organization, sorting and gathering supplies. Then, you'll need about two weeks to deal with administrative tasks, like notifying schools and forwarding medical records. About one month before your move, start packing non-essentials. Strategize how to use up remaining food stores and figure out how to handle your pets and plants. During the last two weeks before moving day, pack like crazy, throw stuff out and coordinate handling your valuables. In the final week, pack an essentials suitcase, including your important documents. Finally, the day before you move, defrost your freezer. Clogged drains can cost $100 to $200 to clear if you hire a professional. But you can tackle most clogs on your own. First, try the tried-and-true plunger. If that doesn't work, clean the trap under the sink and force a sewer snake down the pipe. If those efforts don't work, your last option should be a chemical drain cleaner. Hiring a professional to install a new faucet can cost the average homeowner more than $200, according to HomeAdvisor. By doing it yourself, you can get the job done for as little as $100. First, according to The Family Handyman, you should remove the drain lines from the faucet. Check for working shutoff valves. If you don't have them, install them. Measure supply tubes and purchase a basin wrench. Disconnect the garbage disposal, then disconnect the water supply. Use the basin wrench to loosen and remove the old faucet. Next, place the flange over the faucet according to the manufacturer's guidelines and tighten the faucet mounting nut. Then, tighten the flange nut and attach the spray hose to the faucet supply tube. Mark the supply lines for cutting and, lastly, connect the supply tube to the supply lines. This article, 33 Expensive Services You Should DIY, originally appeared on GOBankingRates.com.